JOHNSTOWN – What school bus will your child be taking to school this fall? 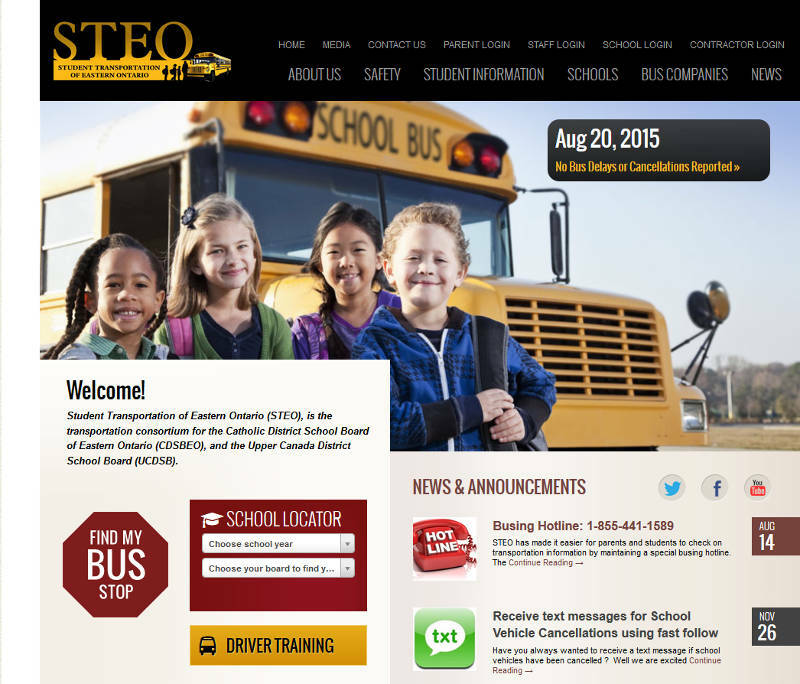 Those questions are now a click away as the transportation consortium – Student Transportation of Eastern Ontario (STEO) – has launched busing information on its website. You will be able to find out pickup location and the name of the contractor serving their area. The site will also give other information such as bus cancellations, bell times and other resources. STEO has also set up a special busing hotline – 1-855-441-1589 – which is running for roughly four weeks (up until Sept. 18).